It's actually Daniel's birthday. Close enough. 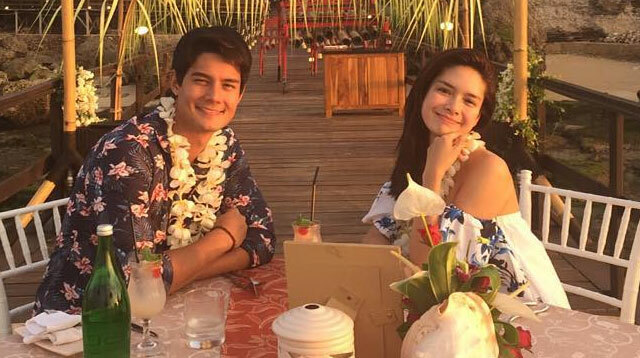 Daniel Matsunaga and Erich Gonzales are spending some quality time soaking up the sun (and each other, ehem ehem) in Bali to celebrate Daniel’s 27th birthday. We're stalking their Instagram posts and they're kinda giving off the honeymoon vibe. Did these two secretly get hitched or something?! Well, clandestine wedding or not, this couple is most definitely IN LOVE. Halatang halata, guys. Here, we have DanRich’s honeymoon-esque snaps on their Bali birthday getaway! WITH ROSE PETALS SHAPED LIKE A HEART! Parang may pictorial na nagaganap. OMG! Is he gonna go down on one knee?! KAYO NA ANG IN LOVE.